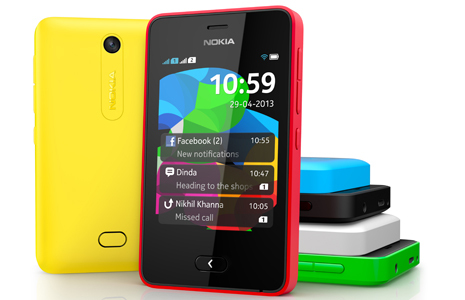 Nokia has launched a new Asha phone 501 in its low end smartphones, Nokia CEO Stephen Elop just announced the new Nokia. It is the first phone in a series of new Asha low end smartphones. Asha 501 is the first phone coming from the Smarter Phone acquisition Nokia made some time back. The new platform came from the MeeGo OS of Nokia. Asha 501 comes with 2G and Wi-Fi but you can expect 3G phones in the not so distant future. Elop also talked about developers, the new platform is designed to give more standards based platform. Nokia’s Developer evangelist Sangeeta said the Nokia Store is growing rapidly and invites developers to join the party. From last year 2 billion apps were downloaded. Nokia is also launching a in-app payment tool to help developers charge for their apps. The apps will also get try and buy feature where users can first try the apps before making a purchase, this feature will be available for both new and existing Asha devices. Nokia is also introducing an ad exchange to help developers, as a developer you will get access to 120 ad agencies and you can monetize the app in 220+ countries. The new Asha 501 is inspired from the Lumia series design wise and comes with a 3-inch touch screen and features just one back button at the bottom of the front panel. It weighs just 98 grams with 99.2 x 58 x 12.1mm dimensions. It comes with a 3.2MP rear camera, there is a front camera though. 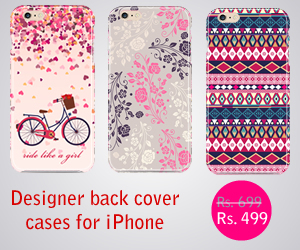 It comes with 4GB of internal memory and supports micro SD card upto 32GB. Nokia is bundling 4GB card with the phone. It also gives great performance, it gives you 17 hours of talk time and 48 days of standby time. It features a new UI where you will find the traditional app drawer and another fast lane view where you can see your present and past, the present shows current messages, notes etc, and the past is an archive of notifications and messages you received. Nokia points out that you can change the SIM card with out removing the battery. For now this is a single SIM version but a dual SIM version is on its way. Elop has also announced partnerships with Telcos for free Facebook plans and other things. Facebook will be bundled with the phone. The Asha 501 is priced at $99 and it will be available in 90 countries worldwide from Q2. The availability in India is in June, the price in INR is not yet announced but Nokia said it will be $99+ taxes, so that means below INR 6000.